This year’s Patagonian International Ultra-Marathon was nothing short of magical. 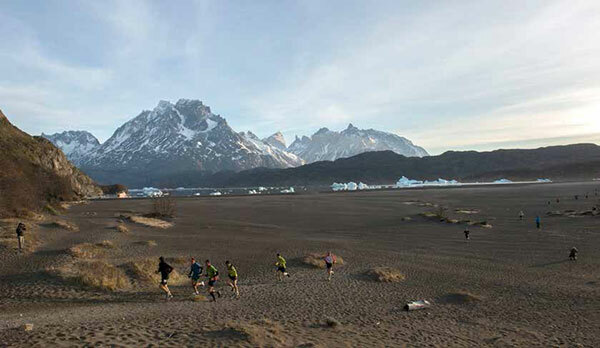 Combining the natural elegance and wonder of Torres del Paine in Chilean Patagonia with eco-conservation initiatives in the area, the event attracted over 740 runners (split between 10K, 21K, 42K, and 63K race distances), representing 26 different countries. Among these runners were top athletes Billy Barnett, Krissy Moehl, Ryan Sandes, and Yassine Diboun, three of whom are ambassadors in the Patagonia Ambassador Program, which is designed to engage runners in becoming stewards for environmental conservation in the Patagonian region. The Patagonia Ultra is an event that speaks boldly, not only to the ultrarunner inside us all, but the human being as well. As ultrarunners we spend an inordinate amount of time between trees and atop mountains. With our thoughts, sometimes in solitude, and most of the time enduring some form of mental or physical pain. We continue to put ourselves through these monumental tests of courage and determination for the unexplainable physical, mental, and spiritual benefits, not to mention the great conversations and celebratory beverages. However, those runners who toed the line at this inaugural race sought more than mere internal satisfaction. They were here for a collective purpose, to raise local awareness and to give back for what this amazing sport has done for them. Yassine put it this way, “When I finally arrived I was so amazed and almost paralyzed at the natural beauty of the area that I didn’t have much nervousness for the race itself. It was more a feeling of thankfulness that this great sport has delivered to me, time and time again.” It makes perfect sense that as ultrarunners we become advocates for the preservation of the beautiful land we love to play on and the amazing narratives it facilitates. For many runners the days leading up to the race were full of long flights and multiple layovers. But, once they stepped off the busses and onto the starting line, energetic reflections shimmering off the grand Lago Grey, they knew they were in a special place. This is exactly what Patagonia does. It liberates you. From the moment their first steps were taken, no matter the pace, each and every runner experienced a colossal feeling of freedom. “It felt easy to be running so fast as we looked out to the majestic, jagged peaks of Torres del Paine National Park. At one point we noticed about five white wild horses off on a grassy hillside. We joked that they were unicorns because we truly felt we were in a magical place,” added Yassine. As runners sifted through the rolling hills, their eyes were met with views of floating glaciers, pristine lakes, wild guanacos, and miles of captivating countryside. Billy, Yassine, and Ryan set a blazing pace from the start, taking turns leading the pack. This continued for almost half of the course, until Yassine pulled back with an injury to his hamstring, still managing to finish third overall. Ryan set the new course record for the 63K in a lightspeed time of 4:24, with Billy in a strong second at 4:56. Krissy was the first female in 5:49, setting a women’s record and placing sixth overall.